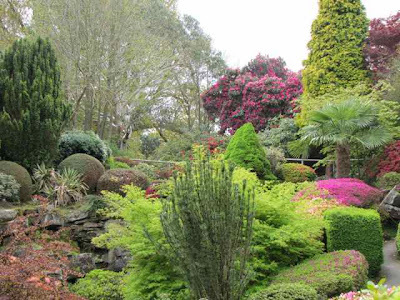 I've never seen anything like the spring colours at Leonardslee Gardens here in Sussex!! Just look at the pictures and they tell the story .... and what's more, the sun wasn't even shining when I visited. This is quite the most amazing May display of colour I've found yet this year with all the rhododendrons, azaleas and camellias in bloom ... and that's before you find the bluebells. 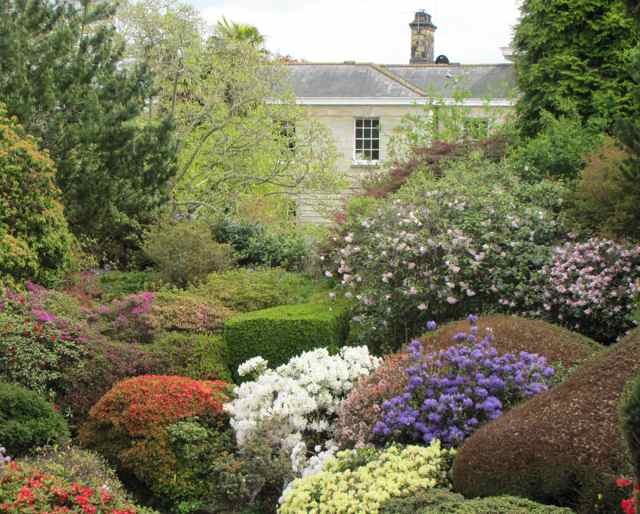 Home of the Loder family since 1889, when Sir Edmund Loder acquired the property from his in-laws, Leonardslee has become synonymous with spring plants that give dazzling colour displays, including the well-know hybrid Rhododendron loderi, which takes the family name. 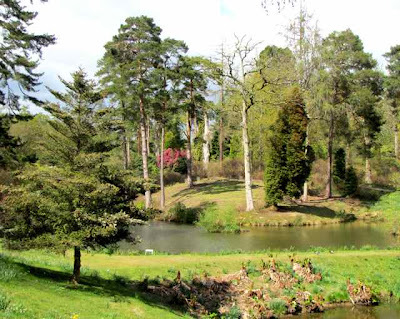 Another family member, Sir Robert Loder acquired the nearby High Beeches estate in 1947 - a second woodland garden filled with spring delights. 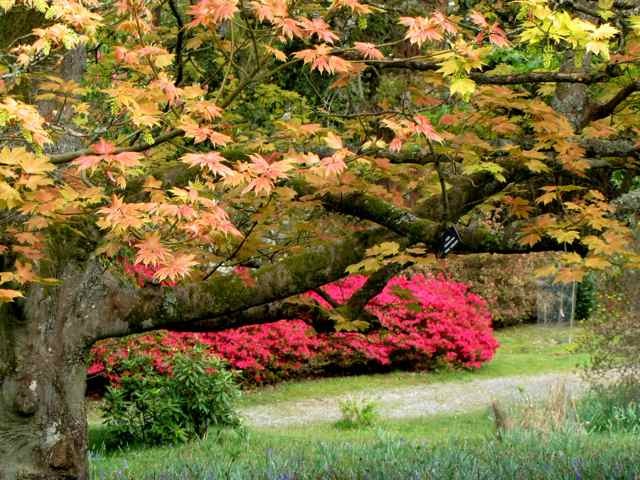 And Edmund's younger brother, Gerald created the wonderful gardens at Wakehurst Place. 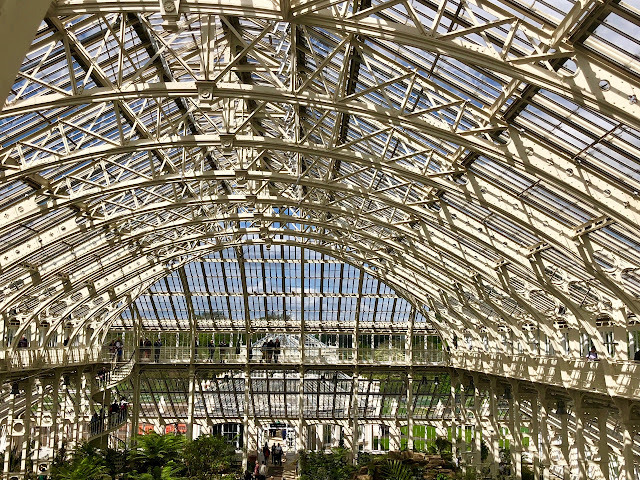 So the Loder family have certainly left the nation with a remarkable garden legacy. Leonardslee extends to more than 200 acres and has an undulating landscape with a series of seven magnificent lakes in the valley. But it is the dense planting in The Rock Garden (top two pictures) that makes it so magnificent at this time of year when the multi-coloured Kurume azaleas and rhododendrons steal the show. Elsewhere in the gardens there are fantastic specimen trees that will make any tree lover gasp. Leonardslee has been home to the Loder family for well over a century, but that is all to end soon, because the property has been sold, and at the moment nobody knows whether the new owner will continue to open the gardens to the public. 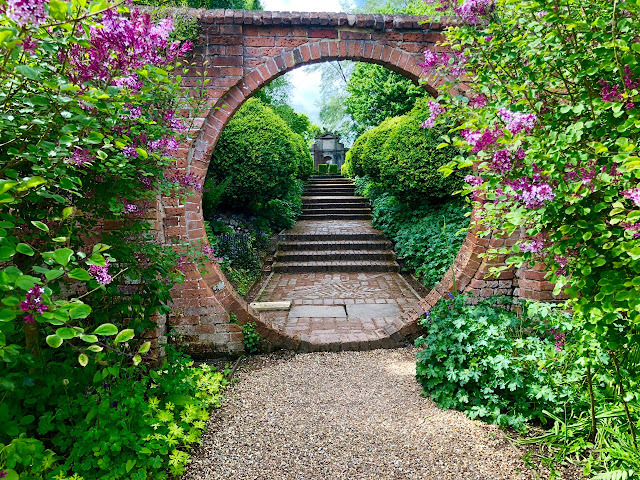 So get there while you can, because it could well be that this garden will be lost forever once it changes hands. What a lovely peaceful garden. Çok güzel bir manzara. çook güzel bir resim. Tebrikler. It is some years since I visited this garden rather too busy tacking ground elder at present I am afraid. Incredible array of colours, what beautiful gardens.